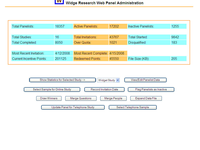 Modular software for working with telephone, online, in-person and printed questionnaires as well as panel management. 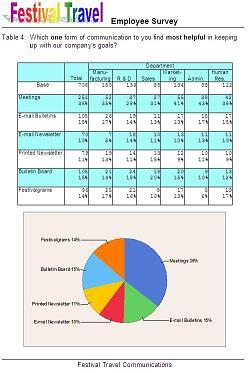 The Survey System is the most complete software available for all types of survey research. Includes advanced logic and comprehensive reporting and analysis. 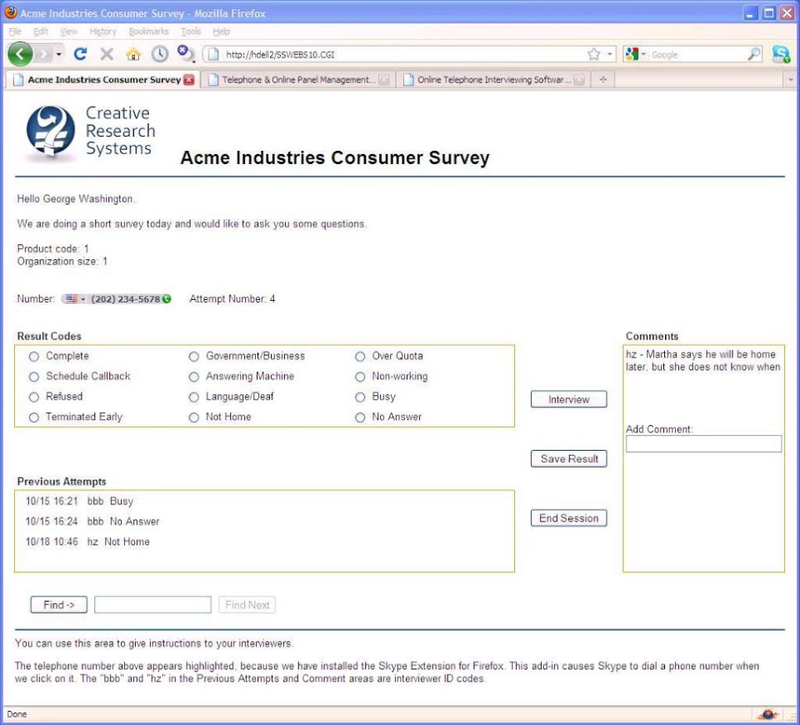 The Survey System has been refined and expanded in response to client comments and requests since 1983. The Survey System Reviews Recently Reviewed! Pros: I've used 'The Survey System' for 7 years, and have found it one of the best value for money options for professional marketing researchers. While mass-market packages like SurveyMonkey claim to have 'professional' or 'academic' options, they are far from it. 1. Well thought out; subtle details other newer companies seem to miss. 2. You setup questionnaires & analyse offline, unlike cloud-based competitors. Cloud-based apps are slower to work with, and many of your assets (e.g. web templates, grid files, response options) sit on their server. 3. They actually know what 'respondent weighting' is. It still amazes me that many software providers (SurveyMonkey amongst them) don't know what you are talking about when you ask if they have 'respondent weighting'; or worse they confuse it with value weights. 4. Perpetual licensing makes it very economical. The only ongoing cost is paying for a server from a hosting company. 7. You can see 'under the hood'. Data files, question files, grid files, images, web pages etc. are all stored in your project folder and can be renamed and uploaded as needed. 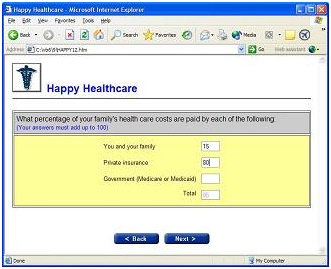 This offers advantages such as being able to keep a survey version, and a reporting version of a questionnaire. Cons: 1. Graphs are a bit limited compared to Excel. 2. All the modules together are quite pricey, especially given the dollar exchange rate. 3. They prefer you purchase via intermediaries in countries outside of the US. 4. If you buy late in the life-cycle of a version, support will be terminated early, and you will either need to upgrade or pay for support. Overall: 1. Survey package for professional marketing researchers. Goes well beyond mass-market packages like SurveyMonkey. 2. Can use for online as well as telephonic / face to face. 2. Well thought out. Subtle details others miss. 4. Stable, they don't make unnecessary changes on a whim leaving you in trouble in the middle of a research project. 5. Can make changes on the desktop instead of the cloud making it faster. Pros: Easy to produce cross tabs with banners, VERY fast with large data sets. Also, easy and fast to export/import to/from .xls (.csv, .txt, etc.). Data entry is easy and fast. Cons: We do not use for regression, cluster, etc. - it is limited on higher level analyses. However, due to its speed, it is very easy to export the dataset into SPSS (STATA, R, etc.) and do the analyses then load back into Survey System to produce cross tabs from the additional variables created. 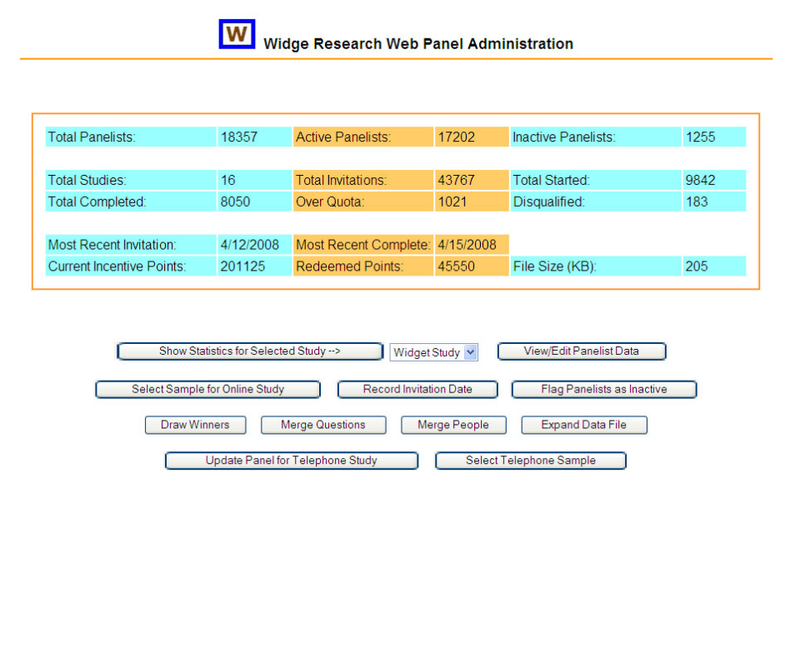 Overall: We are using Survey System v12.0 for online surveys and Creative Research System hosts them. It is easy to manipulate and send/retrieve data in a spreadsheet format. We use SS v10.5 and v12.0 for data entry and cross tabulation purposes. The BEST thing: Our rep at Customer Support! The entire Creative Research System team is INCREDIBLY responsive and easy to understand. He explains things very well, and will fix any small issues I might find VERY quickly with the excellent developers. This is customer support that is very hard to find these days - direct email and direct line and response within an hour. Pros: When migrating from mainframes to PCs in the early 1980s, I found The Survey System, started using it, and very quickly grew to love it because it was written by researchers for researchers and understood our thinking patterns. I have used it as my primary analysis program ever since. Over the years they have regularly upgraded the program, enhancing its performance and upgrading its capabilities as the industry moved forward, while retaining many endearing features like still being about to format and export the data in 80-column format form needed for those old mainframe computers that still use punchcards in many underfunded institutions. I have recently looked at several other popular analysis programs that have emerged in the last decade or two, but while they might suit some of the gimmicky analyses favoured by some 'modern' researchers, they seem to lack the inbuilt rigour and logical programming skills that lead me to favour The Survey System. Cons: I have no complaints about the program itself, but it would be lovely to have a module that wrote basic reports for me. Overall: I use it as my main analysis tool, and still find there is very little it cannot do in that respect provided you take the time to discover all its capabilities. Pros: Easy to use software where you don't have to speak a programming language to use it. Great tech support, - if you have a question or need a custom change to the software to meet a specific and unique client need Hank and the team can always accommodate you. Several of our clients want mult-methodology type projects these days. The Survey System product, just like our company capabilities, is one stop shopping. You don't need to use another piece of software to do the web survey or data entry, The Survey System does it all...saving you time and money, which is something we use day in and day out to be cost competitive. Cons: With any product there are capabilities that are needed above and beyond the basics for some companies. However, this product continues to improve and get better throughout the years. And if you have a specific request, you can have them make a change/upgrade to the program that isnt going to cost you an arm and a leg. From the 12+ years I have been using this product I havent had many issues, I wouldnt still be using The Survey System today if I had. Pros: The system is very robust and full of features to aid in analysis. Further the ability to handle online, phone and field interviews in one system is exceptional. The customer support is unbelievably helpful, responsive, friendly. Cons: It is not super easy to learn the programming (not like an off the shelf/out of the box). Also, woudl love to see them add conjoint. Overall: We would highly recommend as a super value that integrates for multiple methodologies. Pros: Completely logical. Lets you do virtually anything. Makes you a full-service resource for your own projects. Saves funds and time previously used for tabulation services. Builds your confidence in what you can do for yourself and clients. Valued remote friendships with the owner and tech support staff. Cons: Nothing, really. I will admit there is a gentle learning curve but I have found it gratifying. By the time you have established basic competence, you will understand the mechanics of survey construction and tabulation at the most fundamental level. You own it. Overall: You feel appreciated. Support is always available. Any problem can be solved. Overall: It's very useful with our CATI projects since scripting is easy to understand. Pros: We have been using the Survey System since the early 1980s, when we switched from doing analysis on a mainframe to using an IBM desktop. 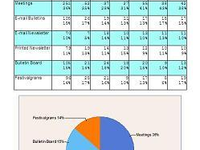 The Survey System is so easy that nearly anyone, without data analysis experience, can follow the menus to produce tables. The very best thing about the Survey System is that you can always call and get help -- without fail -- if you have a question about how to do something. Cons: Although there may not be a need because of the support provided by the staff at the Survey System, there isn't, as far as I know a user group with a listsurvey through the Survey System website. That would be helpful in getting hints on innovative things to do in the analysis and in reporting findings to clients. Overall: I've reviewed many survey analysis programs over the years and have tried a few. But I always go back to the Survey System because it is so simple and does not only surveys done by phone or mail, but also has a module for Internet surveys -- which is also simple to use. Most versatile survey tool out there! Overall: As a user of over 10 years, I highly recommend this tool for anyone doing regular survey work. There are many more alternative choices (mostly web-based) now than when I bought, but I have yet to find anything with the same level of reporting 'oomph' that The Survey System has. And the tech support is incredible...very helpful/savvy people who always answer the phone and can help you figure out the simplest or most complex programming challenge. No question is too 'dumb'! Investing in this tool when I first started my research business was the best investment I've ever made in my business. Pros: I have been using The Survey System since about 1984 and have kept up with its updates since then (although I have not yet updated to the latest version 10.0). I have often reviewed other competing products and have consistently found The Survey System to have the best range of features and the easiest to use at the best price value. I have at various times used almost all of the modules/features and have found all of them to meet our needs very well and to be easy to use. As well, whenever I have had questions about how to use a particular feature, I have found The Survey System to be very friendly and responsive in answering my questions. Cons: I have no cons for this product. Overall: Excellent and stands head and shoulders above all competitors as a complete system for survey research at a good price value. Pros: The modules overlap so you just have to learn how to use one of them and then you have enough knowledge to use and interact with the others very easily. The program provides great flexibility so you can be as creative or formal as you wish in designing your documents. We have the system on our servers and it is very fast for users to click through. It is much better now everything ends with .cgi. Cons: GIFs and JPGs at the top of the page cannot be hyperlinks. Overall: A full recommendation from us for Creative Research's Survey System. 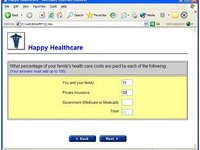 The software allows the user to imagine survey pages, it has instant reporting with charts. The Panel Management software allows for double opt-in and security. The statistics are easy to use - regressions and ANOVA (it doesn't do factor and cluster). Pros: Survey System is easy enough for a novice user or sophisticated enough to meet the demands of a seasoned market researcher. In meeting their customers' needs, they have designed a module-based system that enables you to pick what meets your needs. The modules include: web-based questionnaires, PDA-based questionnaires, statistics, CATI and panel management. The software is easy to understand and simplifies designing your questionnaires. In addition to the top-notch software, they have one of the best customer support teams that I've worked with. Overall: Overall, I'm very satisfied with Survey System Version 10.0 and would most definitely recommend this software. Pros: The Software has been around for a long time,I've actually used it to help me with sample size estimation. But other than that, it has all the standard features required for a good survey tool. Cons: The cons would have to be the outdated or traditional looking graphs exported by their software. I have a survey tool that gives me really well designed outputs. 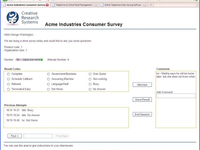 Pros: The Survey system is awesome for market research. They have been around a while and have truly adapted to the market needs - more people should really know about this product. Cons: It is not the most intuitive platform I have ever used, so may not be the best for everyone out there.